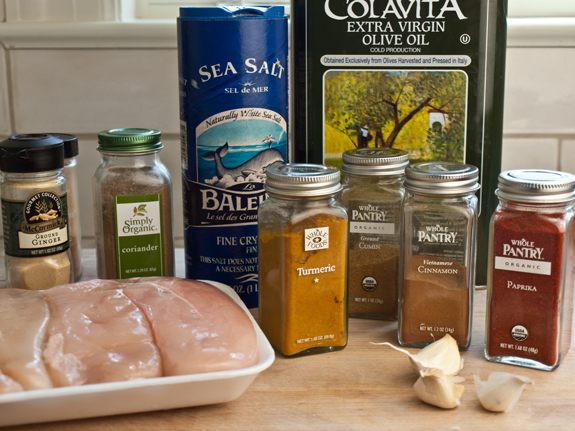 This is an easy and incredibly flavorful way to prepare boneless skinless chicken breasts. I can’t claim it’s authentic, but the spices — an aromatic blend of cinnamon, cumin, turmeric, ginger, paprika and coriander — make it taste decidedly Moroccan, and it also goes wonderfully with couscous. You might think it sounds too exotic-tasting for picky eaters, but I can tell you that even small children seem to love it. The best part is that it only takes minutes to prepare, and there’s barely any clean up. 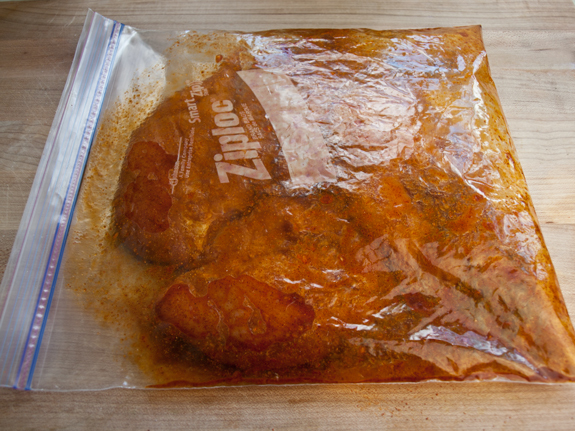 Begin by pounding the chicken breasts to an even 1/2-inch thickness. 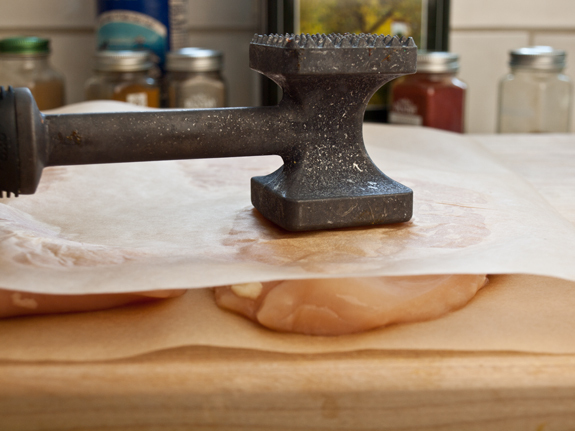 This both tenderizes the meat and ensures even cooking. 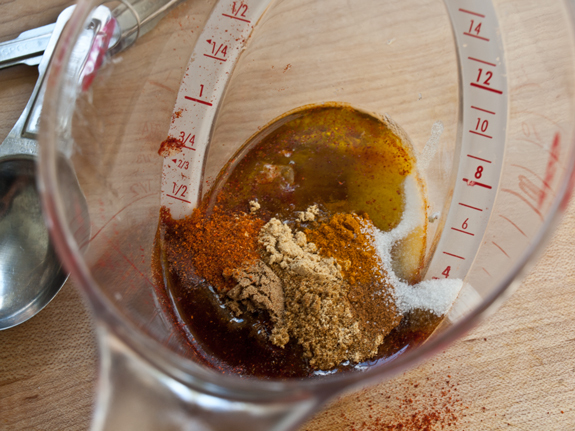 Next, make the marinade by combining the olive oil, spices, salt, garlic and sugar in a measuring cup. 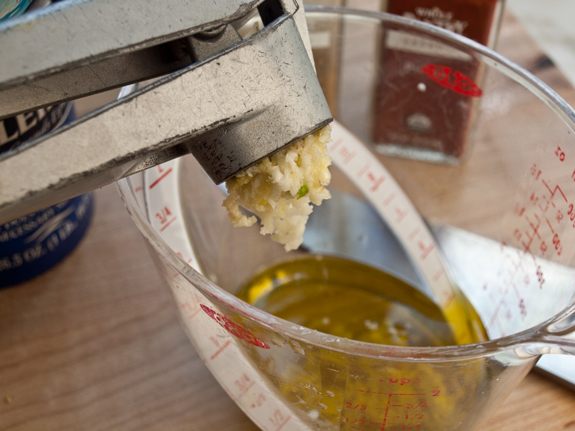 To avoid getting smelly garlic hands, use a garlic press to mince the garlic. 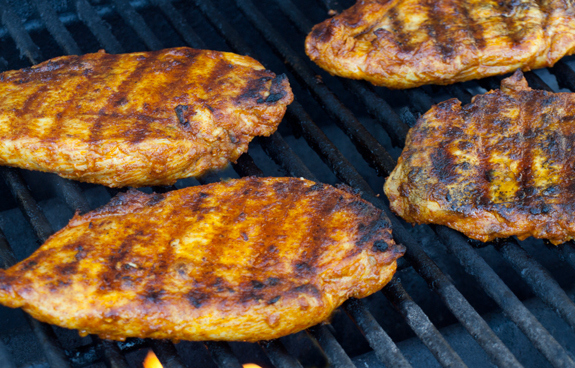 When you’re ready to eat, preheat your grill to high. It’s important that the grill is very hot — you want nice grill marks and char in the short amount of time it takes to cook these. 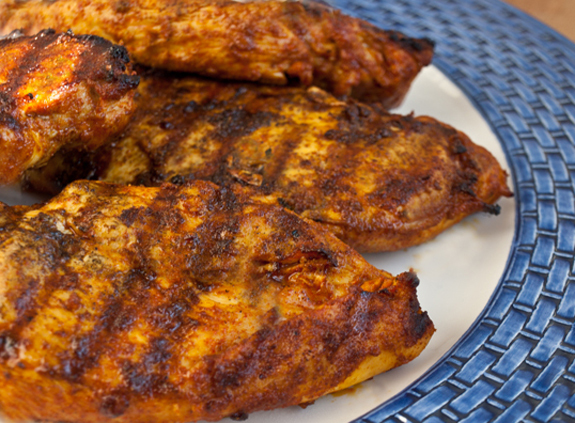 Grill just a few minutes per side for perfectly tender chicken breasts. Serve with couscous and a refreshing Moroccan Carrot and Chickpea Salad. Enjoy!